Ayurveda, the sister science of yoga, is an ancient wellness system that can help us find optimal health and balance in life. It’s all about eating a nutritious and balanced diet that’s suited for your individual needs, engaging in self-care practices that nourish your body, mind and soul, plus, practicing yoga in a way that is informed by this ancient science of life. These three components are your Ayurvedic keys to good health and well-being. Our October challenge, #EatLikeAYogi, is all about bringing yoga and Ayurveda together as they were meant to be practiced. In doing so, you will have all the tools you need to find your way back to a place of optimal well-being. 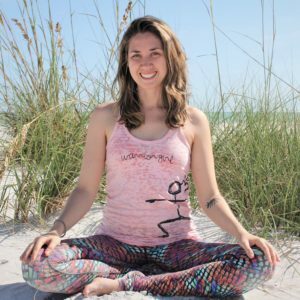 During this challenge, each day, participants will complete an Ayurvedic practice (based on food and self-care) with Sahara Rose, and an Ayurveda informed yoga pose recommended by Kino. Each of the yoga poses in this challenge have been selected based on their ability to help balance the doshas (Vata, Pitta, Kapha). As a compliment to the challenge, we are going to breakdown which poses are good for balancing which doshas, and why. Today we’re talking about Vata imbalance and which yoga poses you should incorporate into your practice if you’re working to find balance. Tree Pose – Since vata imbalance is usually associated with scattered thoughts, poor ability to focus, excessive nervousness and anxiety, balancing postures like tree pose can help to bring more stillness to the mind. Tree pose requires a keen mental focus, so try incorporating this pose into your daily practice to see if it helps. Paschimottanasana – Forward folds are grounding, calming, and encourage introspection. This is why any forward fold is great for bringing balance to excess Vata. Try this pose in the evening before bed to ease hyperactivity and help you prepare for a more restful sleep. Utkatasana – Chair pose is very effective for creating a sense of grounding, which is great for relaxing a Vata mind. Plus, it activates the downward moving force in our bodies (Apana Vayu) which can help when it comes to alleviating constipation. Warrior II – This is another grounding pose that can really help with balancing excess Vata. This posture does however pose a challenge for those of us who may be experiencing a Vata imbalance. This is because it’s a little less interesting than some of the other postures on this list. Vatas get bored very easily, but if you try incorporating a little movement with this pose before settling into stillness, you may find more success. Try this simple movement before settling in to hold Warrior II for an extended period of time: from Warrior II, inhale to lift your arms and bring the palms to touch. At the same time lengthen your front leg. On the exhale, bend back into your front knee, and extend the arms back in opposite directions. Repeat for several rounds of breath. Ustrasana – The last pose on our list for balancing Vata is Ustrasana, aka camel pose. This pose is recommended because it asks us to still the mind and focus on grounding through the legs before adding in the backbend. That’s what’s really important for getting the full benefit out of this pose. From this place of grounding, move slowly and mindfully into the backbend, being extra careful not to overdo it. Remember, a dedicated yoga practice that’s informed by Ayurveda is only part of what we need to do to find balance. Incorporate these poses into your daily practice and be sure to try the recipes and self-care routines recommended by Sahara Rose. This is what will truly help you find optimum health and bring balance to your overall life. Join this June Challenge, become the force of One Million Yogis! What if one million of us came together to empower others? I believe we can definitely make this happen. And it will truly enrich our yoga practice, too. It will become a two-way practice. It is estimated that 300 million people enjoy yoga worldwide today, generating 80 billion U.S. dollars. If we are part of this huge global trend, why don’t we take our own initiative and redirect a portion of this huge resource to give back to Mother India? This is why we are reaching out to you to be the force of One Million Yogis to make a massive positive impact in many more lives in India who desperately need our support for survival. While we enjoy our blissful yoga practice on the mat, many mothers struggle to prepare the next meal for their children, young girls are forced into early arranged marriages, and orphans wander as HIV infected parents die in the towns and villages of India, the birthplace of yoga. I even met a teen girl in West Bengal who has been tortured by her father and brothers simply because she does not quit school. Today, with YGB’s scholarship and social program, she is earning good money and her family stopped beating her…the stories go on and on. Just as we want to make progress with our yoga, everyone wants to make progress in life to reach one’s dream with joy and light. Why can’t we provide them with life changing opportunities? Most of us probably started yoga asana practice for physical exercise. Eleven years ago, I walked into an Ashtanga yoga class in Los Angeles looking for a fun and rigorous fitness class. I got hooked. I loved learning new poses and sweating a lot, while also slowing down and deepening my breathing. I was also introduced to Yoga’s spiritual tradition and started learning Sanskrit. One day, I read a line that hit me to my core, “First part of your life is to experience and learn. Second part of your life is to serve others.” I was 47. I did not know much about Seva or Karma of the yoga tradition. But this message truly resonated in me. With all I got from my daily yoga practice and my life, I needed to give back. To my surprise, I soon learned that many people actually share the exact same feeling! This was how Yoga Gives Back (YGB) was born and continues to grow. 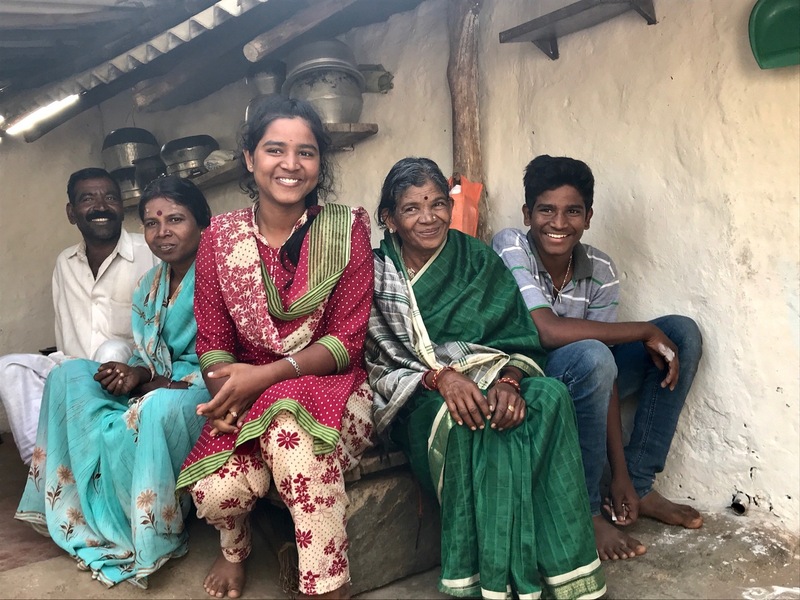 In its eleventh year, we now fund more than 1200 impoverished mothers, youths, and children in India with microloans and education funds with a minimum of five-year commitment to each person. Today, yoga communities in nearly 20 countries support our mission. I have never imagined that YGB could grow this much. But now, as YGB goes into its second decade of operation, I am convinced that we can do so much more. We can reach out to One Million Yogis globally! This year, we are adding new 25 teen “Devadasi” (servant to God) girls to our program, just north of Mysore. These girls were born to Devadasi families in central Karnataka state. Once they reach to puberty, they are given to God in a marriage ceremony and labeled as “Devadasi, ” which is the beginning of their life long career as prostitutes as their mothers and grandmothers were. Our NGO partner is working hard to rescue these girls, to provide them with good education and secure life so they can build their life with independence, sustainability and self-esteem. Your participation in this June Challenge will support these girls’ future! This is why I believe we can engage one million yogis: We are not asking anybody to run a 5K to raise funds or to donate 1 million dollars. With your daily dedication, Kino’s continued support to our mission, and amazingly generous sponsors backing our effort, we get closer to One Million Yogis every day. If One Million Yogis get involved in this revolutionary movement, whether volunteering, hosting a class, doing Challenge, donating whatever you can, we can definitely uplift millions of lives in India. So why don’t we make this happen?! Running YGB for the last 11 years while enjoying the benefit and abundance of yoga practice, I am more convinced that yoga practice is enriched when it becomes a two-way practice. When you direct your energy gained from this practice not only to yourself but also to others, yoga truly starts to mean more. Yoga’s ripple effect truly starts to explode beyond our imagination. Maybe this is why Yoga means “Union.” Together we can effect change, by honoring our practice, and activating our gratitude. Join us this June for Kino and Ahmed’s 10 Day Challenge, and stay involved in Yoga Gives Back’s #One MillionYogis Campaign. Namaste. Do More Yoga. Do More Good. 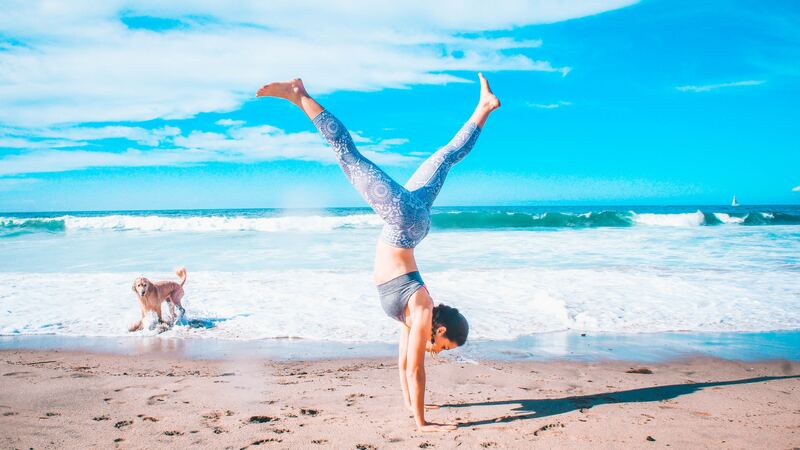 Being a yogi is about so much more than meditating and practicing asana. Yoga is a way of life, and as students of this sacred practice, it is our duty is to give back to our communities in a meaningful way. 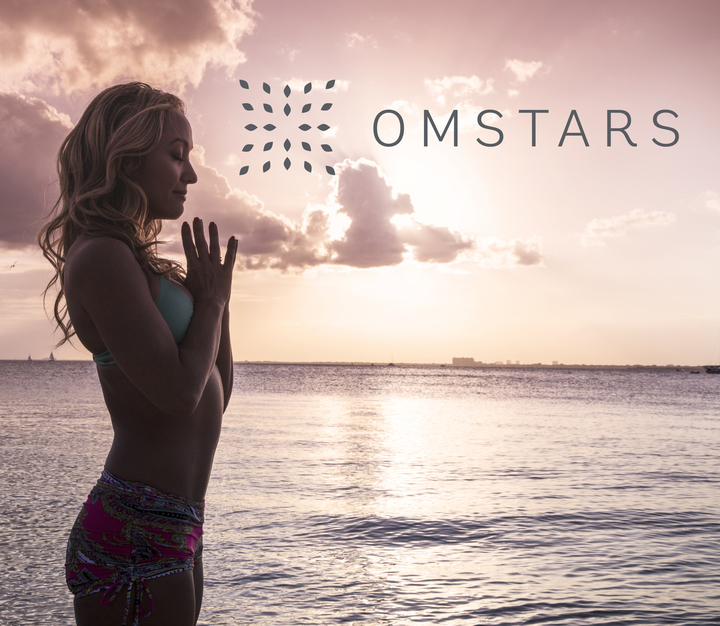 Here at OMstars – The Yoga Network, we make giving back easy by hosting challenges that not only give you the opportunity to practice yoga, but to contribute to meaningful causes that help make our world a better place. So far, we’ve hosted three charity challenges this year, including the #FlyLikeAYogi challenge which supported RAINN, the #ActualizeYogaChallenge which supported the Trini Foundation, and now the #ArmUpForAnimals challenge supporting Animal Hope & Wellness. Our newest challenge has officially begun and over the next 10 days, for every person who joins in (Pssst, it’s free! ), our incredible sponsor, Canna-Pet, will be donating one supply of supplements to help animals in need at the Animal Hope & Wellness Foundation. We love this incredible organization because they are 100% dedicated to rescuing abused and neglected animals, providing them full rehabilitation services and working to find new, loving homes for each of the animals they take in. From shelter animals and strays to beaten, abused and neglected pets, there’s no limit to what sort of situation they’re willing to rescue animals from. They even rescue dogs from the horrors of Asian Dog Meat Trade (can you believe it’s not even illegal??). With this challenge, our goal is to help thousands of abused pets get the care they need, so they can finally find their way to the loving homes they deserve. So sign up and join the challenge May 1st through May 10th, to practice some yoga, and save some puppies. We’ve made it through the first week of the new year and our #30DayYogaLiving challenge and so far, we have nearly 11,000 participants, but there’s still room for more – it’s never too late to join! 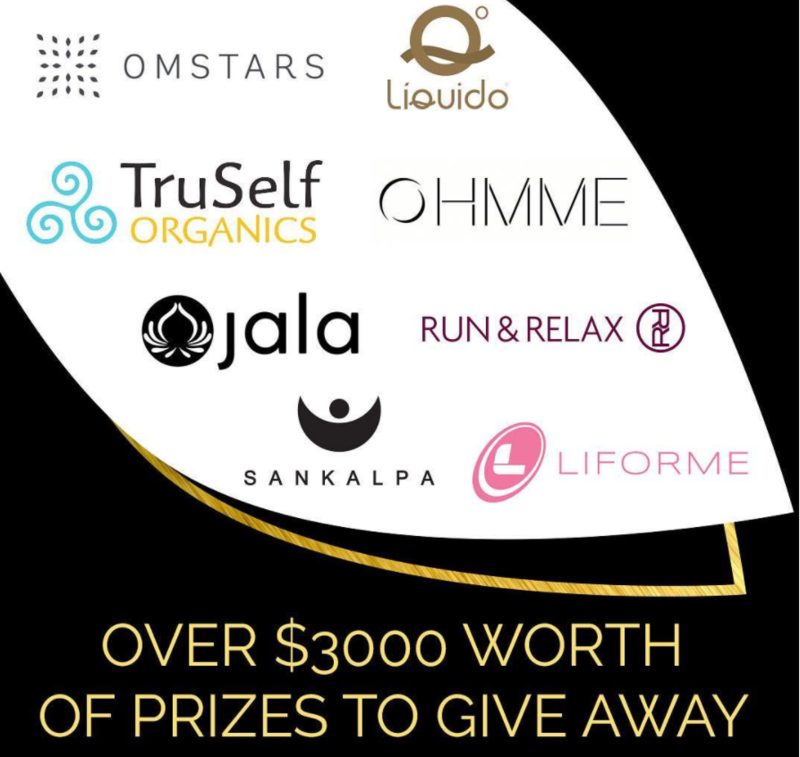 Besides giving each participant the opportunity to start 2018 by immersing themselves in the tradition of yoga, this challenge also comes with over $3,000 in prizes from our group of amazing sponsors. We are so honored and thankful to have so many amazing companies participating in this challenge with us, so we wanted to take this opportunity to thank and share a little about our sponsors. Run & Relax – A Scandinavian company that makes yoga and sportswear for women. Plus, they ship internationally! Throughout the challenge, they will be giving out several yoga tops, tights, and full outfits! TruSelf Organics – This company was founded on a mission to help the people of the world love themselves through health, beauty and self-love. They create a line of all natural organic and cruelty-free skincare products that are easy to add into your own self-care routines. If you happen to be one of our lucky winners you might receive one of their travel size nourishing creams, detox masks, or bamboo utensils. Jala – Yoga inspired apparel made in LA. Every Jala piece is designed with beauty, meaning, comfort and function in mind, so that you can take your yoga style with you for yoga practice, and through each part of your life. Jala will be giving out gift cards to a few lucky winners. Liquido – Bold yoga and active wear to support your everyday life. Liquido clothing is mindfully made in Brazil with SPF protective fabric, limited edition styles, and they offer global shipping. They will be giving out a pair of leggings and a sports bra. Ohmme – Consciously developed men’s apparel that is made with movement in mind. Every piece of clothing is produced with the most innovative, ethical and honest means possible. Ohmme will be giving out a gift card to one lucky winner during the final week of the challenge. A special shout out and thank you to each of our sponsors – we are beyond excited to be working with you.